Dalloway Place is a shop for typographical posters, subway signs, eye-charts, childrens and wedding prints. 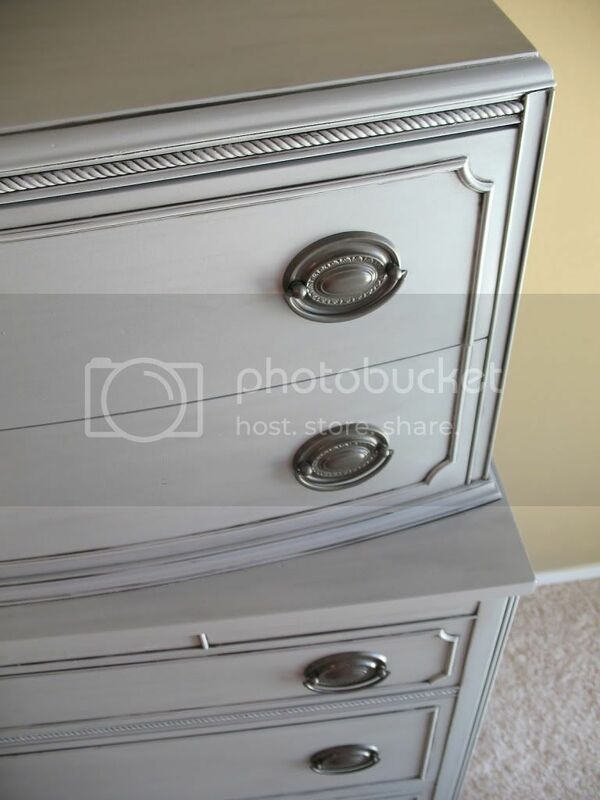 We also refinish furniture and create original wooden letter and picture frame pieces. 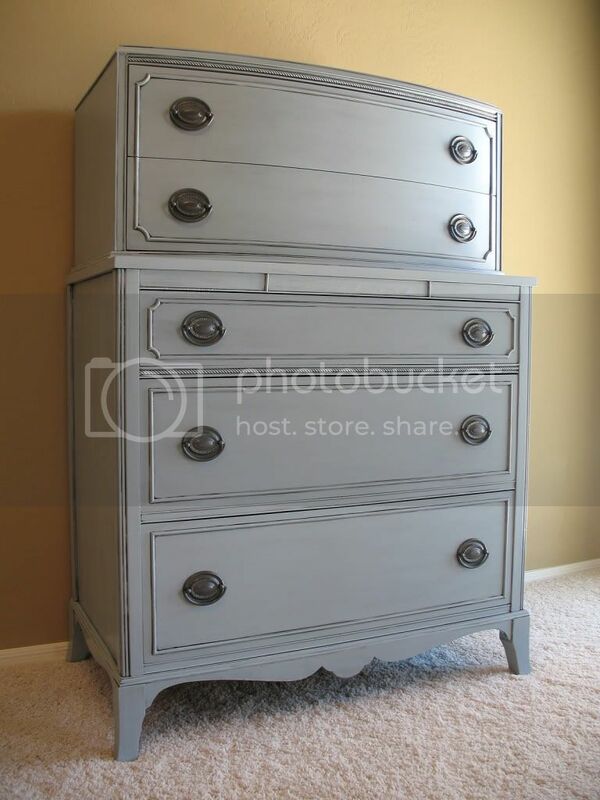 Classic gray blue french dresser. 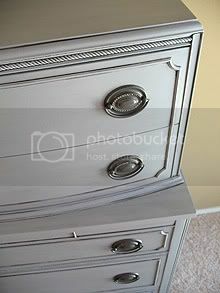 Raised trim detail, bowed top, scalloped bottom. 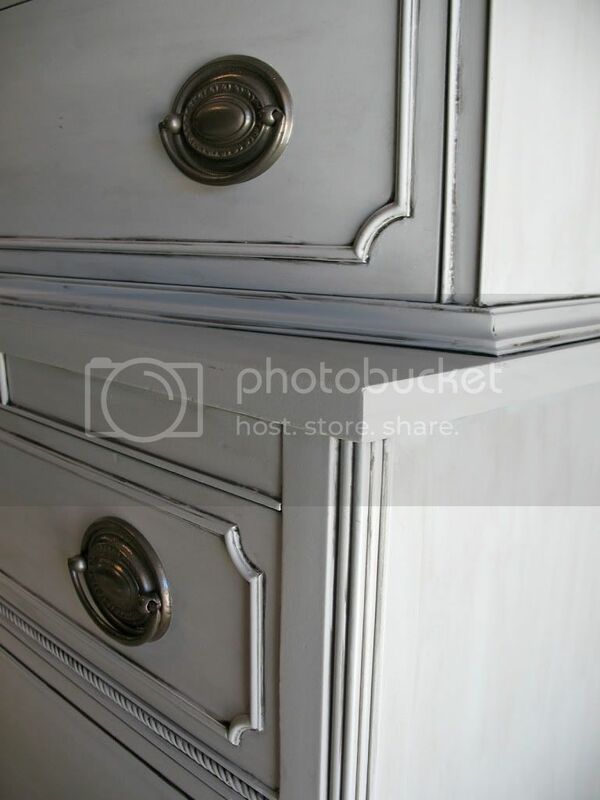 Heavily glazed antique finish. Original hardware. Solid wood. 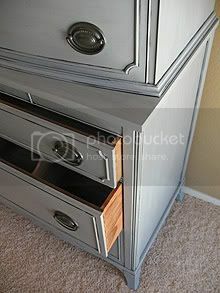 Dovetail drawers that slide smooth. Top and bottom drawers have wood dividers inside. and another gorgeous piece in that color!!! swoon! Just found you through Primitive and Proper. Love your work and the color is fabulous! As a new follower, I look forward to seeing more! That color is gorgeous. I love pieces with scalloped detail. Beautiful work. 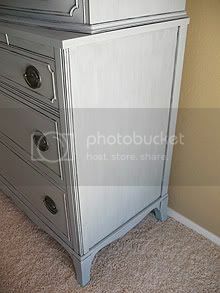 Love this piece..the color is beautiful…I am just starting to do some of my own furniture redo’s I love it and having so much fun..I am your newest follower.. Visiting from My Repurposed Life. Love the shade on this dresser. I just painted a similar-styled dresser this week in white. Looking forward to my next painting project. 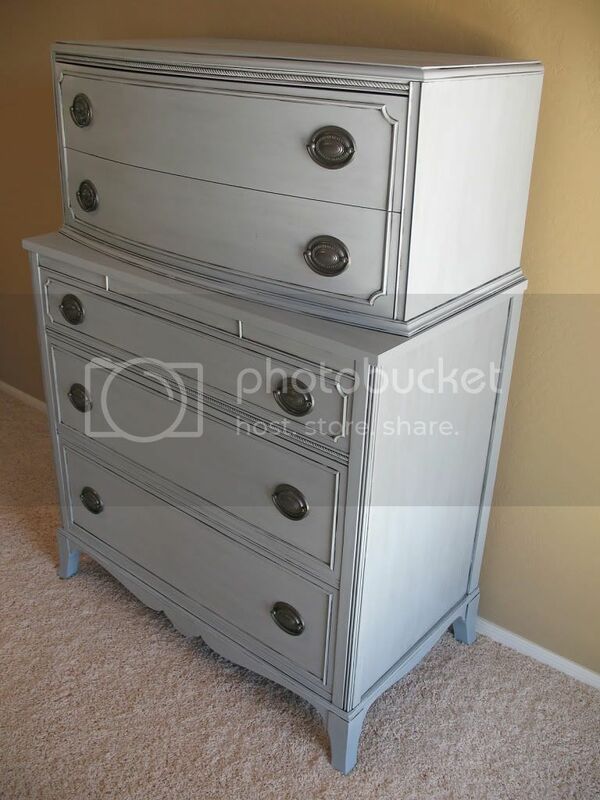 This is almost exactly like my dresser. Ours has some added detail. We stripped and refinished it but kept the natural mahogany. The grain pattern on ours is just too beautiful to cover. I like your makeover though. Thanks. Wow. 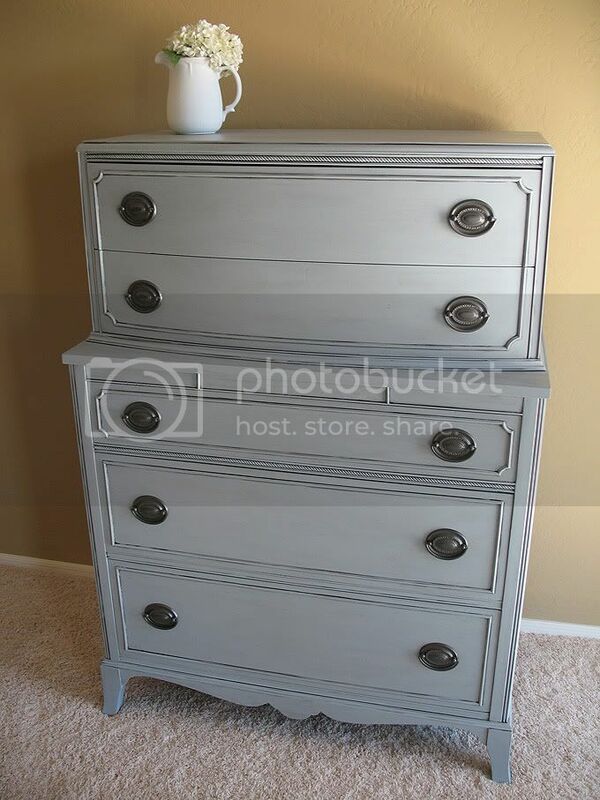 So long since I refinished this piece! Love your artwork by the way! Beautiful illustrations.